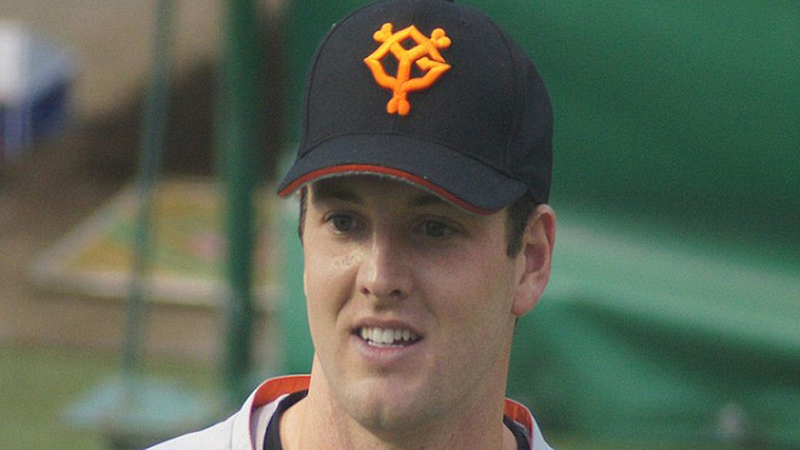 On July 5, 2012, Scott Mathieson became the fourth player in Nippon Professional Baseball history to throw a pitch over 99 mph, joining former major leaguer Marc Kroon, Korean-born Lim Chang-Yon and Japanese-born Yoshinori Sato. Mathieson is still pitching in NPB, announcing on Twitter in November that he’ll be returning for his seventh and eighth seasons with the Yomiuri Giants. The Vancouver-born reliever is NPB’s all-time foreign-born leader in holds. He has a 2.30 career ERA and 10.4 K/9 in 375 innings for the Giants. He’s a celebrity of sorts, a guest on Tokyo television shows who has dressed up in funny costumes to play along with the Japanese media. When he announced his new contract in November, he received two kinds of responses: Japanese fans expressing their undying love for their setup deity, and Phillies fans surprised and happy for the 33-year-old former prospect. Things were different 10 years ago. “You were one of those fans who wasn’t happy with me back then, weren’t you?” asked Mathieson when I told him I’m a lifelong Phillies fan. It’s easy to say the Scott Mathieson story is one of missed opportunity, of a former top prospect who lacked a certain something to carve out a solid major league career. That’s the easy narrative, one told plenty of times, especially about guys who turn around and take a job in Japan. But Mathieson, like his peers, isn’t that easy to peg. Mathieson made his major league debut with the Phillies on June 17, 2006, when he surrendered four runs in six innings against Tampa Bay. But the club’s No. 4 prospect according to Baseball America was sent back to Triple-A after four mediocre starts. He came back to the Phils after they traded Cory Lidle to the Yankees, but he started feeling pain in his throwing arm, which probably contributed to his 7.47 ERA that season. 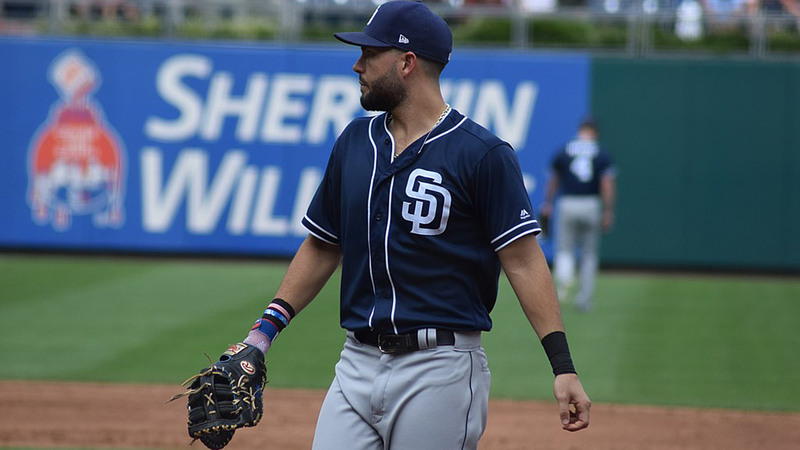 He was in a clubhouse with emerging talent like National League MVP Ryan Howard, Chase Utley and Jimmy Rollins, and the team’s top prospect, fellow newcomer and friend, Cole Hamels. He didn’t want to be the guy who was hurt, because hell, everyone’s probably hurt. So he didn’t tell anyone. In his ninth career start, he threw a strikeout pitch to Pete Orr but felt a sharp pain in his elbow. He left the game and was diagnosed with an ulnar collateral ligament tear, leading to Tommy John surgery. He recovered and returned in late 2007, but after seven outings across three levels, he felt more elbow pain. He had pinched a nerve, leading to an ulnar nerve transportation procedure that September. He was told he’d be able to pitch in two months, but he couldn’t throw a ball 30 feet, so the UCL needed be redone completely. Up to this point, Mathieson had been making paltry minor league salaries and, briefly, the major league minimum. He was 24, young by most measures, but with an arm hanging on by a thread. He got married, and he and his wife pondered family. He wondered how long he could chase this dream. Meanwhile, Hamels was leading the Phillies toward a championship. Prospects he played with passed him. Baseball was no longer fun, just an exercise in hoping everything works out every single time he wound up. On drives to the practice field, he would turn his car around. He thought a lot about quitting. Then his wife would ask him if he’d regret it, so he’d always turn back to the field. There’s a sense that Mathieson wasn’t in complete control of his goals. Then again, who at age 24 can confidently say they’re sure of themselves and their objectives? He emerged from the relative baseball obscurity of western Canada with a fastball that could touch 100 mph, shooting him up the prospect ranks as he sailed through the lower levels of the farm system. He was the hot name, the exciting, tempting wild card for Phillies fans in 2006. It’s impossible to believe he had complete control of all of that. “Younger me wanted to be a superstar, to play at the best level,” he said. But things changed after that third injury. His return to the Phillies came in 2009, at the Joe DiMaggio Sports Complex in Clearwater. He was 25 and going up against teenagers in extended spring training, and the team sent nobody to watch him. His first pitch was 96 mph, and his arm hurt the next day, pushing his next appearance two weeks. The next time out the pain returned, but it ended more quickly than before. Then he pitched again, and again, until finally he was throwing every other day without pain. He finished 2009 in Double-A and registered a 1.40 ERA. This Mathieson wasn’t trying to be a superstar. He just wanted to pitch in as many games as possible. “It was the first time I actually felt baseball was fun,” he said. That translated to 2010, when he saved 26 games for the Lehigh Valley IronPigs, posting a 2.80 ERA with 83 strikeouts and 24 walks in 54 games. He started and relieved for Lehigh Valley in 2011, earning a 3.28 ERA. Both years he was called up to Philadelphia in September, but he was frustrated he didn’t get an earlier call. Still earning the league minimum and hoping to start a family, Mathieson was stirred by an offer of up to $1 million from Yomiuri. The Phillies sold his contract to the Giants after the 2011 season, as he opted for security, which came in handy, because the day before he left for Japan, his wife found out she was pregnant with their first child, a boy. It’s easy to see how momentous life events influenced how he saw himself. Marriage, and relying on his wife for support, helped show him that he was the person who most controlled his destiny. Having a child was showing him that success could come in countless forms. So he flew to Japan, his mind on the goal he’d been keeping for years: pitch in as many games as possible. He even started his first year in the Japanese minor leagues, but he was back with the Giants after a few weeks. It was shocking but didn’t faze him. In 2012, he put up a 1.71 ERA in 40 games, then besting that in 2013 with a 1.03 ERA in 63 games. “My goal every year is 60 games in Japan, 60 to 70 games,” he said, which he’s accomplished in four of his six seasons. He’s twice thrown in five consecutive games. Beyond that, he was the first foreign-born player to 150 holds and is the first foreign-born player in NBP history to be named a team captain. That came after taking seven Japanese teammates to America for training, plus acting as a Western ambassador of sorts. He still struggles with the language barrier at times, but he loves communicating with fans, including dressing in those crazy costumes for Japanese television shows. He now has a daughter along with a son, and they and his wife live with him during the season. His son attends an international school, takes karate and plays soccer. For the first time in his baseball career, Mathieson feels comfortable. And he’s hoping to grow into more of a teacher for his peers in Japan. In 2014, at the NPB all-star game, Shohei Ohtani became the fifth pitcher to top the 99-mph mark. But in the batter’s box, Ohtani can’t match Mathieson, as Ohtani is hitless against him. The last time they faced one another, the former lined out to third base. Mathieson calls him “the real deal,” that he may struggle early on with a long swing and wildness on the mound, but his ability to adapt will lead him to be among the best players in the majors. It could be a stretch to compare Ohtani with Mathieson, but it’s not that crazy. Both have absurd gifts of velocity considered rare in Japan, both have been surrounded by considerable hype, and both have to endure being outsiders in new places. And at the end of the 2017 NPB season, Mathieson spotted Ohtani at a train station and spoke with him about just that. “I said ‘Enjoy it. Don’t try to be a hero. Do as much as you can and enjoy it,’” he said. Who knows if Ohtani will take Mathieson’s words to heart, but it’s hard to imagine another person whose words will matter more. Timothy Malcolm is a writer focusing on travel and experiences, sports and nostalgia. His work has been featured in Paste, October, Chronogram, Westchester Magazine and PhilliesNation.com, and in 2019 his first book, a travel guide of the Appalachian Trail, will be published by Hachette Book Group. Visit his personal website and travel writing website, and follow him on Twitter @timothymalcolm. Very enjoyable piece. Thank you!